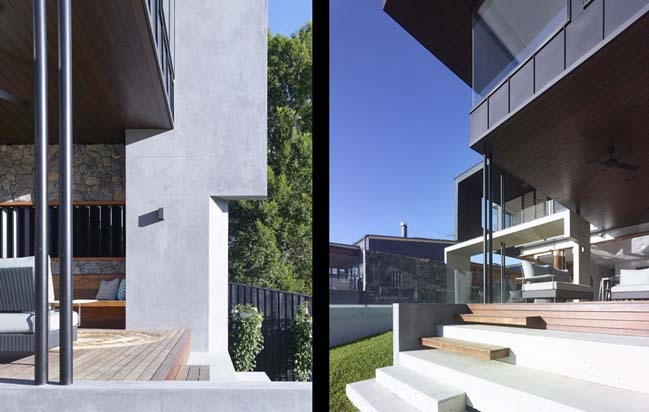 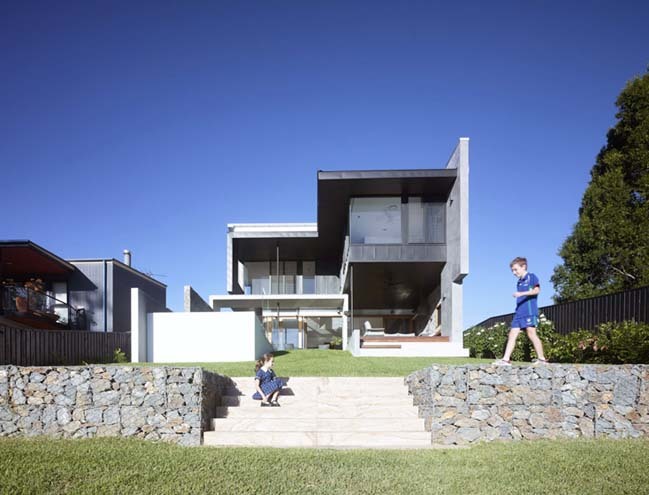 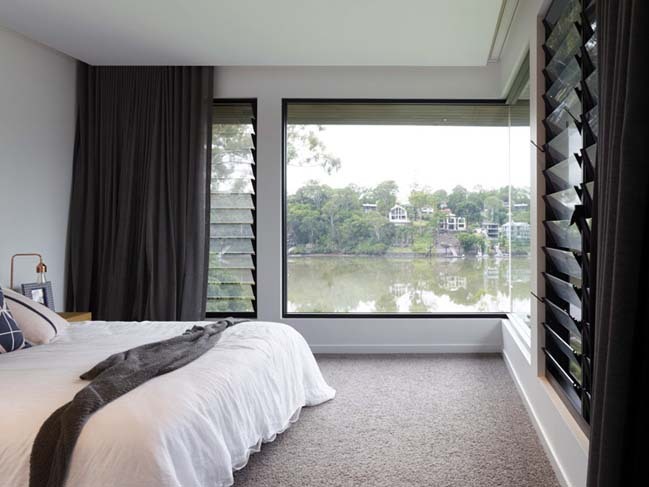 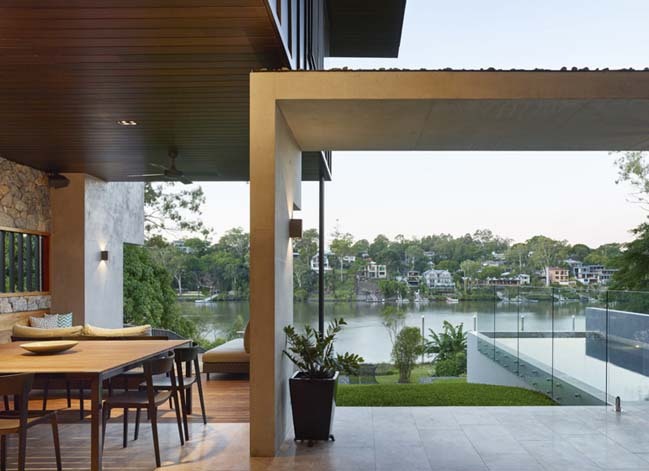 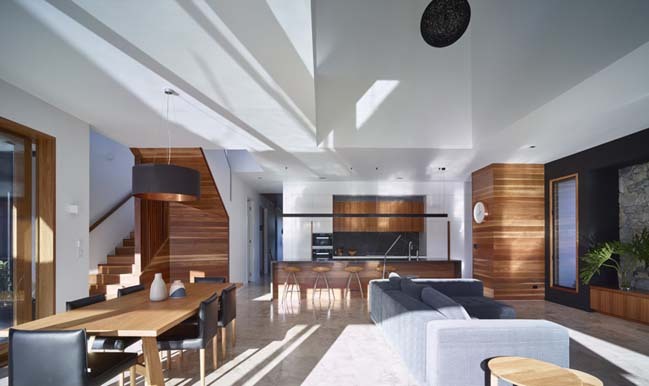 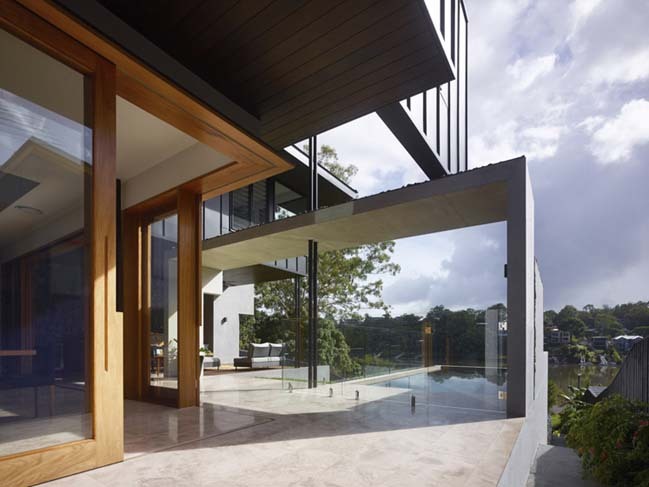 Located on a sloping plot and overlooking a river, this contemporary river-front house was designed by Shaun Lockyer Architects to explore ideas of articulated landscapes, underpinned by a robust architectural language. 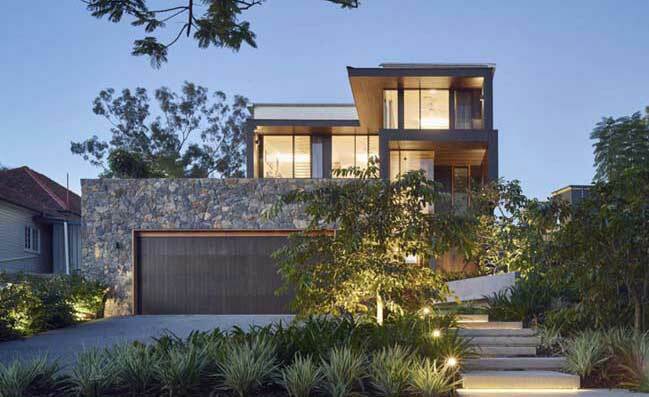 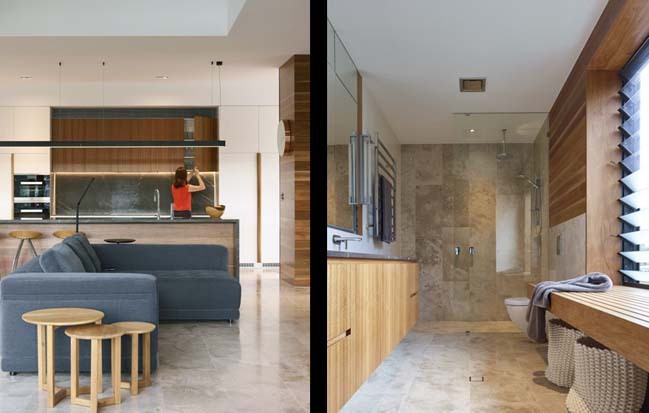 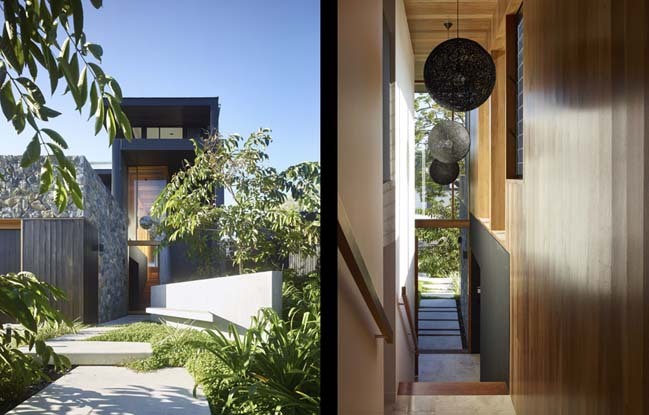 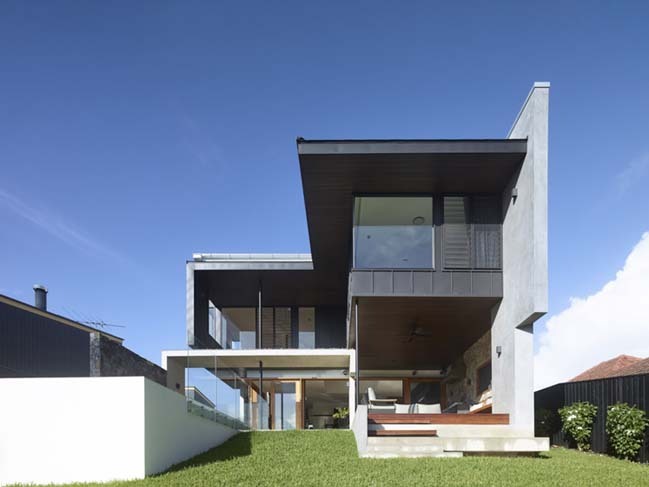 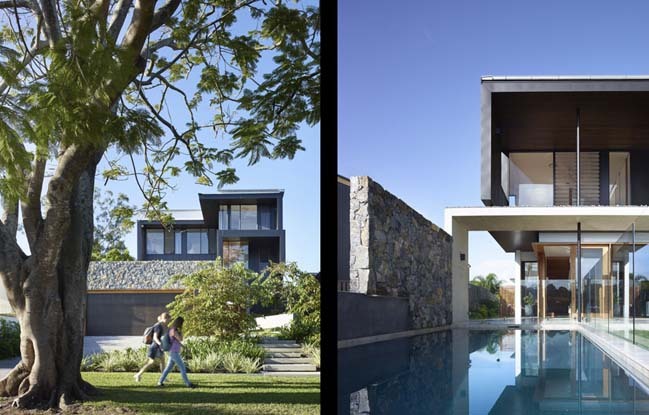 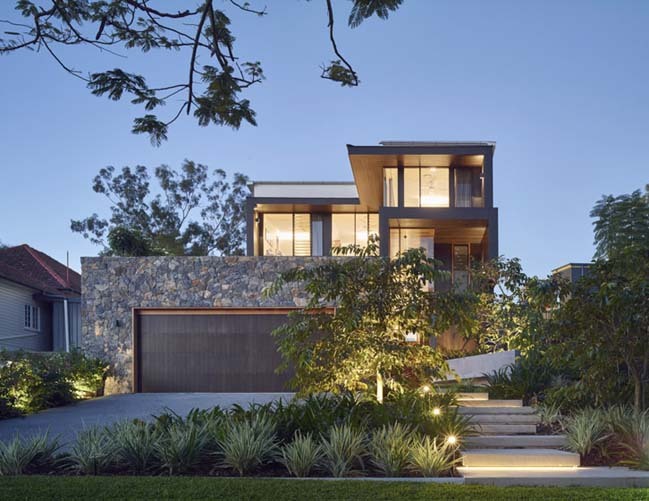 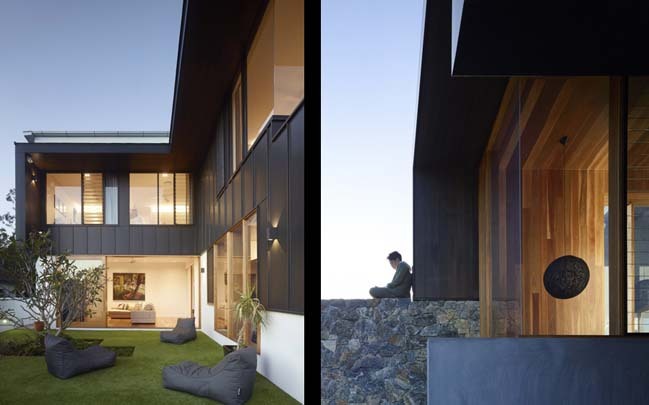 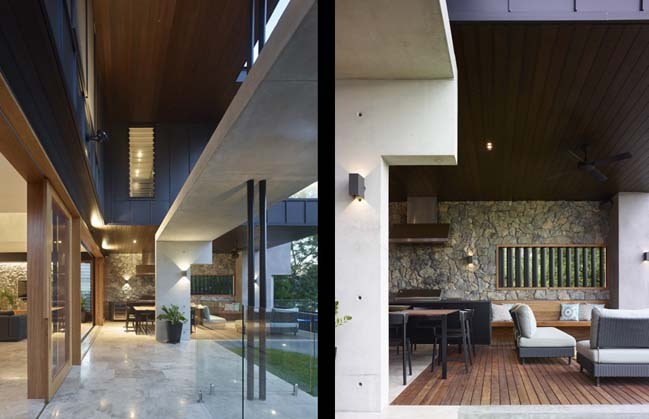 Follow the architects: A heavy base of stone and concrete grounds the house on the crest of the site and offers a sense of resonance, while the juxtaposing combination of black zinc cladding and stained timber panelling presents a necessary balance of lightness about the overall built form. 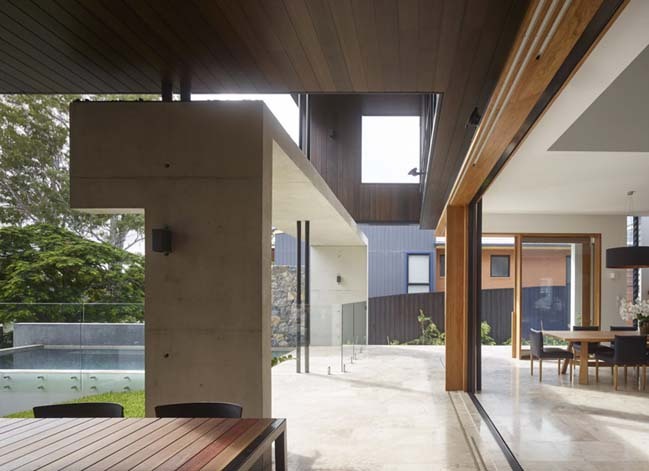 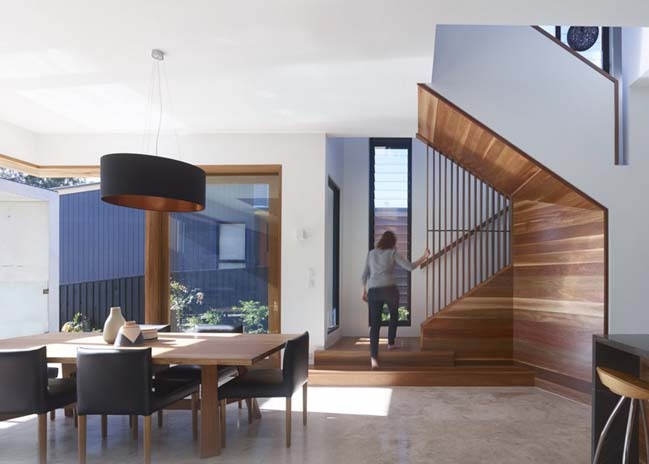 Attention to the landscape strategy has been a primary driver of the house’s relationship and connection to the land, street and broader context.